The president has requested close to $10 billion for Afghanistan reconstruction next year. If Congress approves the request, that will bring the total amount of U.S. reconstruction aid to Afghanistan to $100 billion since 2002, according to the latest quarterly report from the Special Inspector General for Afghanistan Reconstruction. That averages out to a little over $8 billion each year. $8 billion is a lot of money. It’s $2 billion more than Congress needs to find to avoid raising student loan interest rates. It’s more than three times what the Department of Energy spent last year on vital nuclear nonproliferation programs, and it’s four times the amount the Veterans Health Administration spent to provide medical care to recent combat veterans in 2010. Some U.S. aid money has been well spent. The literacy rates among the Afghan National Security Forces, for example, has almost tripled since 2009. But a lot of the $100 billion U.S. taxpayer dollars spent on Afghanistan aid has been misspent. A former senior auditor for SIGAR estimates that only 15% of aid dollars makes it to the intended recipient. The rest is lost to waste and corruption or eaten up by overhead costs. For the U.S., that means $85 billion has been wasted in Afghanistan. Slashing aid to Afghanistan (as the Senate Appropriations committee recently did, cutting the president’s request by 28%) isn’t necessarily the answer. Doing something on a smaller scale does not mean you’re doing it better. It’s not simply a matter of changing how much we invest; we must change the way we invest. By making each aid dollar more effective, we will spend less and get real results. What does this mean in practical terms? 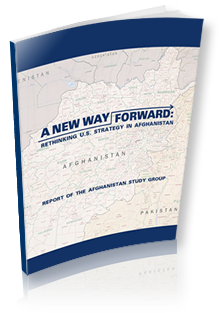 There are a lot of recommendations for making Afghanistan aid more effective. Improving congressional oversight would be a good start. Cracking down on wartime contracting abuses is also essential. And focusing on economic development – promoting investment in local infrastructure, providing subsidies and technical assistance to local agricultural producers, and helping Afghan women directly through micro-lending and education programs – would also be smart. $85 billion of U.S. taxpayer dollars has already been wasted. Billions more are at risk, unless the current course changes. For long we have known that 85% of the aid money never leaves the beltway be it USAID or the DoD. The annual cost of one USAID “expert” in Afghanistan and Iraq is over $1 million and most do not have the skills hired for let alone the langauges. And since few ever leave the cushy bases they net cost per day worked whether 2 or 10 hours is more like $20,000 assuming 50 days. Days spent forms not counted. Of course the official yarn is that its the ungrateful Afghans who are 100% cause of corruption. but who dispenses our money? Why are you blaming Afghans?! I think the best answer for your comment is President Karzai’s quote ” In a televised speech on December 22, Karzai said that local graft is negligible compared to the hundreds of millions of dollars paid by foreigners in suspicious deals.